Build trust and convert leads with automotive video email. We are all becoming more used to communicating through video, and receiving and absorbing it as content. SnapCell is an innovative new app and web tool that enables you to connect with your customers much more effectively. 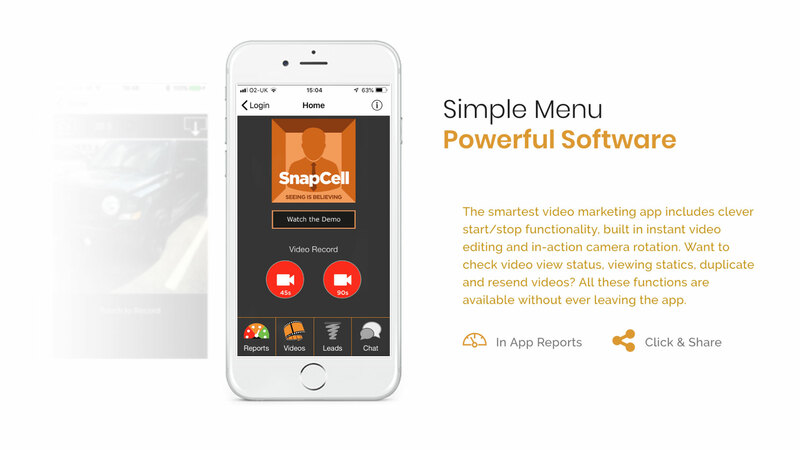 SnapCell video marketing allows you to add a personal touch to your marketing outputs, and helps recapture a face-to-face relationship even over your digital platforms. Improve sales, service upsell, and customer satisfaction with video marketing. 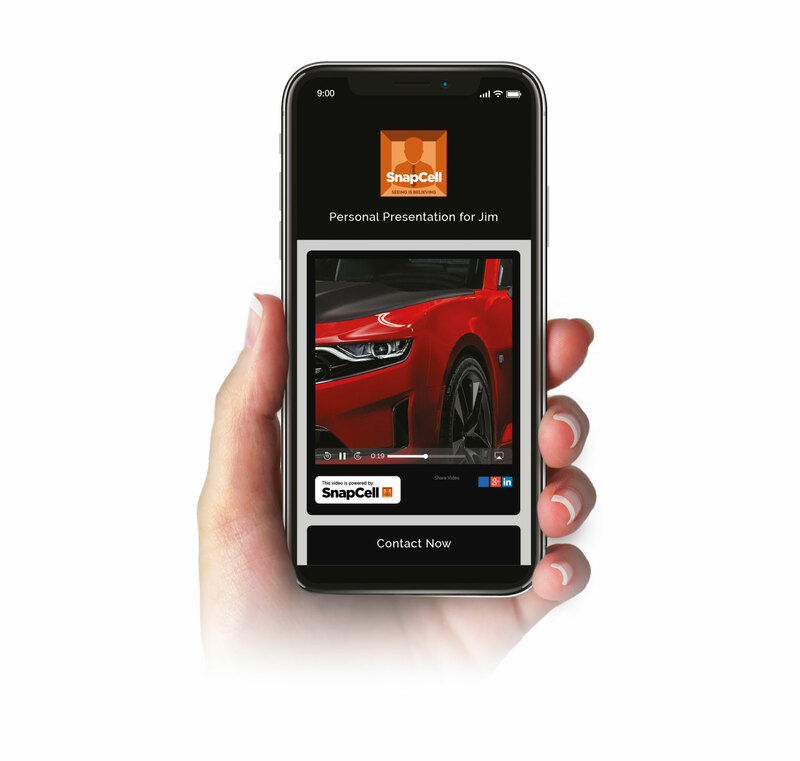 SnapCell enables you to create an unparalleled car-buying, ownership, and service experience for your customers with video marketing that shows who you are, and what you do. The simple act of showing a customer the work you’ve carried out, the features of a vehicle in stock, or new accessories and offers available, helps build trust and create low-pressure upsell opportunities. Build trust by identifying wear and tear items or having an engineer visually walk them through a service for instance. Or create relevant, reactional sales opportunities. Tell your customers about free vehicle check-ups and the importance of tyre choice to make the most of seasonal or unexpected weather. Or create renewed desire by letting a customer know of the arrival of a new model, or that top box that would suit their vehicle and lifestyle down to the ground. And once you’ve created and acted on the opportunity, you’ll be able to track the whole customer engagement process through your dedicated GForces Account Manager and BI reporting. Visual information is absorbed and understood by the brain in 250 milliseconds. That’s almost twice as fast as you blink. And when you watch a video, you retain 95% of the information, versus only 10% when you read text. Video is therefore the ideal medium through which to deliver key marketing messages. When your customers are watching your videos, whether looking at new stock, getting to know members of your sales team, or talking to a technician about a service - you’re facilitating a much greater level of interaction than other content. That in turn, drives a likely greater level of engagement, and ultimately an action or transaction. SnapCell is also designed to minimise the time spent on creating and sending videos. There are a number of innovative features incorporated to help create impressively professional videos full of personalised content. In-action camera rotation. Easily flip from the front and back camera whilst filming. Start/stop function. Enables seamless and instant editing as you move from shot to shot. No memory required. Videos are stored on the dedicated SnapCell server. Built-in, customisable templates. Select from a number of stored, customisable templates. Branded viewing page. Videos are presented on your branded page. CTA. Fully customisable options that allow your customers to take the next step at the touch of a button. Tracking. Check if your videos have been successfully delivered, viewed, and what the response was. Management control. Monitor and control the quality of all video activity at management level. GForces is the exclusive UK supplier for SnapCell video marketing. Get in touch today to find out more.